Powerful yet melodic vocals that combine the sassiness of Sarah Vaughan, with the pure emotion of Nancy Wilson - both of which will give the listener a soulful musical treat for the ears, the heart, and the soul. Listed below is detailed production information about each song on the "It's Time to Love" CD. The musicians and arrangers on this project are nothing short of amazing, and we wanted to make sure to give them acknowledgement in this digital format. This information also is included in the Digipack CD. © EMI April Music, Inc.
© BMG GOLD SONGS OBO CASA DAVID LP, BMG GOLD SONGS OBO NEW HIDDEN VALLEY MUSIC CO. This three-octave vocal artist has been an invited performer at the Montreux Jazz Festival in Switzerland on three occasions and has made multiple appearances at the Atlanta Jazz Festival, including that of headliner in 2012, as part of the Nina Simone Tribute Ensemble in 2015, and most recently as 2017 producer of "Celebrating Sarah, Honoring the Music of Sarah Vaughan" featuring Bertrand and 6 other vocalists. She has opened for many of America’s finest jazz artists, including Ray Charles, Will Downing, Rachelle Ferrell, Najee, Roy Ayers, and Kenny G. Her fan base includes radio and internet listeners across the USA as well as in England, Japan, Finland, Switzerland, Germany, Norway, New Zealand, France, the Netherlands, and Brazil among others. As a songwriter, she penned the national theme song for the 100 Black Men of America – "What They See is What They’ll Be" - as well as several songs on her CDs All of Me, No Regrets, Reasons for the Season, New Standards, and Katharsis, which was released in June 2011 and is still receiving nationwide and world-wide airplay, including 14 weeks on the UK Soul Chart top 30, 6 weeks in the UK Soul Charts Top 10, and 2 weeks at #1. 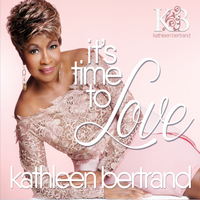 In November, 2017, her most recent CD, It's Time to Love, was released, and is already receiving international airplay. Bertrand recently co-produced “Sisters in Song: Saluting Jazz’s Greatest Divas.” The March 19, 2017 standing room only performance featured Atlanta’s top jazz vocalists – all on one stage - in a salute to Women’s History Month. She is producer of "Celebrating Sarah – Honoring the Music of Sarah Vaughan" for the 2017 Atlanta Jazz Festival's Legends Stage in May. She also serves as executive producer and founder of BronzeLens Film Festival, which was recently designated as an Academy Award qualifying film festival – one of only 2 such designations in the state of Georgia.